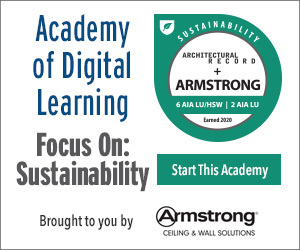 Sponsored by Carlisle SynTec Systems, Construction Specialties, Ross Technology, Smart Vent + ILC Dover, and Walz & Krenzer, Inc.
Identify and recognize the basic principles and terms associated with resilient building design and disaster mitigation. 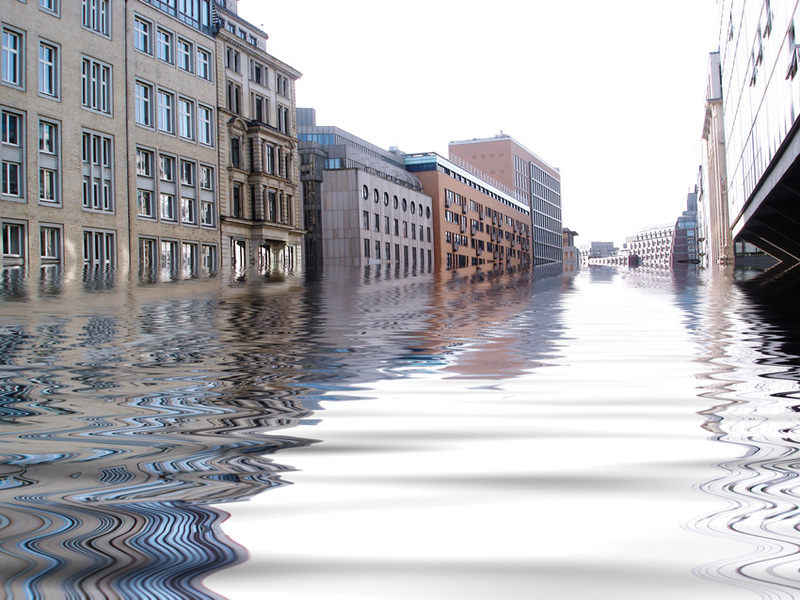 Assess a variety of methods to protect a building from flooding events. Explain and specify a high-performance, resilient roofing system. Examine a low-profile perimeter fencing and gate system to address security in a building or facility. Well-designed buildings often evoke a sense of permanence and longevity. The reality is, however, that such permanence can be routinely and sometimes dramatically challenged by natural or man-made disasters. Weather-related events such as hurricanes, tornadoes, and flooding can compromise or destroy building enclosures and structures within a matter of hours or even minutes. Seismic events can cause almost immediate destruction of entire buildings or sections of them. And in our security-conscious era, human attacks on facilities can target human lives, building structures, or both. In light of all of these conditions, architects and engineers are called upon to design buildings that can withstand these forces and situations. Some parts of the design may be mandated by regulations, others influenced by insurance requirements, and still others simply by request of the building owners. Regardless of the motivation, design teams need resources and understanding on how to address these very real situations in the interest of protecting not only the buildings we design and the contents within, but also the full health, safety, and welfare of the people who use those buildings. This course will look at some of the current thinking on these topics. Designing for resilient buildings involves recognizing potential hazards and incorporating measures to mitigate the risk of adverse effects on facilities, communities, and people. The reported rise in natural and man-made disasters in recent years has focused increased attention and funding on how to prepare for and survive different types of disasters. Those engaged in this effort understand that while buildings play an important part, community resources and infrastructure are also critically important. The American Institute of Architects (AIA) has been directly involved in this area since 1972, when the role of architects was formally recognized as part of emergency response. This role became better defined in 2006 when the AIA established a Disaster Assistance Program led by a nationwide committee of architects and other stakeholders. Since then, a number of events and publications have come about, including the recent (March 2017) release of the third edition of the AIA’s Disaster Assistance Handbook (available for free download at www.aia.org/resources/71636-disaster-assistance-handbook). This informative publication provides a great overview of the topics related to resilient design (i.e., the ability to not only survive but to “bounce back” after an adverse event), some detailed information on hazard risk reduction and mitigation, and resilience planning before, during, and after an event. There are also appendices identifying AIA member groups to connect with and extensive lists of resources for more information. Hazard is a natural or man-made condition that poses a threat to human safety. Hazard events include such things as hurricanes, tsunamis, earthquakes, tornadoes, blizzards, drought, and wildfires. Risk defines the likelihood of a hazard occurring and the potential intensity (or magnitude) of that hazard. A coastal community, for example, is at higher risk of hurricane hazards than inland communities. Determining the level of “acceptable risk” is based on understanding the frequency and potential magnitude of a hazard and is critical to designing for the associated level of building performance. Vulnerability personalizes risk by assessing what the impact of a hazard can be on a particular building, its occupants, or a community, such as injury, death, and property damage as well as social and economic disruption. Keep in mind that a resilient building in a vulnerable community isn’t truly resilient since infrastructure, utilities, food supply, and services are all necessary for people to function adequately. Mitigation is the process of reducing negative impacts. Mitigation measures are often developed in accordance with lessons learned from prior incidents. Measures may include zoning and building codes or floodplain buyouts, as well as efforts to educate governments, businesses, and the public on measures they can take to reduce loss and injury. Resilience is fundamentally an inherent durability or flexibility of buildings and communities. This requires designs that are tough as well as flexible, providing the ability to not only bounce back but to also move forward. Adaptation is the process of accommodating needs throughout the service life of a building. It is critical to acknowledge the changing conditions in the physical, economic, and social environment as well. Communities are ultimately successful when they are adaptable to change. The AIA website (www.aia.org/resilience) provides architects and others with additional tools and information to address the design of resilient buildings and communities. In particular, the AIA’s Understanding Resilience is a helpful primer on key terms, and Qualities of Resilience is a good jumping off point when discussing what makes a building (or community) resilient. Additional technical guidance is also available for both hazard mitigation and climate adaptation. Using some of the AIA work as a basis, let’s turn our attention to some specific issues and how to mitigate them in the design of resilient buildings. The third edition of the Disaster Assistance Handbook published by the AIA addresses disaster response and preparedness, with an expanded section on mitigation, resilience, and long-term recovery. Carlisle’s thicker and more durable 90-mil EPDM membranes offer long-term value, performance, and resiliency. So, whether you face a violent hailstorm or busy rooftop maintenance personnel, it provides superior protection. By investing today, savings can be recognized well down the road. Construction Specialties’ SSR seismic expansion joint cover is designed to handle everyday thermal movement as well as multidirectional movement that occurs during an earthquake. This virtually invisible floor cover accepts a variety of floor finishes to provide a seamless transition over expansion joints. Ross Post-and-Beam Anti-Ram Fence safeguards high-risk facilities that require maximum protection against vehicle-borne attacks. Tested to ASTM F2656 M50 P1 standards, the innovative 30-foot clear span beam design reduces overall project costs, simplifies installation, and provides superior aesthetic appeal compared to traditional cable systems. Removable lip seal flood barriers require no tools to deploy. Just place the panel in the permanently attached frame and slide the two top latch bolts in place. Features include a flush sill, lightweight construction, increased reliability (no inflatable gaskets), and small radius corner.